“I love LA!” Yes indeed. Randy Newman’s “unofficial” city anthem got plenty of play this weekend at the start of the 2014 Asics LA Marathon. An annual tradition since 1986, this year’s race featured a “sold-out” field of 25,000 runners dashing along the popular “Stadium to the Sea” route. Other events included the “Big 5 LA 5K” on Saturday as well as the option to run the marathon as a 2-person relay (handing off at the midway point). This year’s race also featured two unexpected twists to give the race a little “added drama” (and boy does this city love drama). First off, this year’s race coincided with “Daylight’s Savings Time” (“Spring Forward” everyone) robbing us of an hour of much-needed pre-race sleep and guaranteeing that everyone set numerous alarm clocks to ensure they didn’t oversleep. In addition, “Mother Nature” decided to overdo things a little (okay, a lot) on the California sunshine, but more on that later. Registration costs for the LA Marathon are pretty standard for a big city race, starting around $140 early in the season and getting more expensive as race day approaches. And since the race sold out again this year (about a week before race day), it’s wise to purchase your spot early, lest you be relegated to being a spectator. Packet pick-up for the race was at the marathon expo located at the LA Convention Center. The LA Marathon has one of the better expos out there and it’s worth stopping by to check out the vendor wares and freebies. But even if you’re not a fan of expos, you still needed to venture downtown as this year several new security policies were put into place (as a result of the last year’s Boston tragedy), the first being that you had to pick up your own bib and shirt. No sending your friends or family members in your place to grab your bib. One little tip, rather than shelling out $15 for expo parking or similar costs at one of the nearby lots, just drive 3-4 blocks away and you can find ample meter parking (more cash for race souvenirs). Since the LA course is a point-to-point race, parking/transportation is a little complicated (and boy does this city like to make things complicated). Racers have the option of being dropped off or parking at Dodger Stadium (traffic can get a little crazy as the start time approaches; get there early). However, there is no shuttle back to Dodger Stadium after the race, so this option is not without a wrinkle. The other option (and better option in my opinion) is to park in Santa Monica and take one of the race shuttles/buses to the start line at Dodger Stadium. You can pay for a parking spot ahead of time (which is a good idea) and it will set you back $10 or $20 depending on where you go, but the shuttle is free for all runners and even with added security (they check your bags) it’s a pretty painless process. Although, be warned that the shuttles tend to run “early early” in the morning in order to guarantee you getting to the starting line with plenty of time to spare. I had a 4am shuttle that got me to Dodger Stadium at 4:30 and ample time to relax (and then get anxious for the race to start). For swag fans, this year’s LA Marathon T-shirt featured a brightly colored orange “LA” logo placed over top a muted gray shirt. I’ve heard some mixed thoughts on the shirt, but I liked it and any shirt that isn’t white in color is typically a win for me. As for the medal, it featured the same LA logo (along with LA landmarks). The medal felt very “LA” and was a decent bit of bling, although it was a bit on the small side. Back in 2010, the LA Marathon ditched its downtown course in favor of a point-to-point “Stadium to the Sea” path and it has transformed an average marathon into a destination race. It truly is a spectacular route that hits numerous LA Landmarks. Starting at Dodger Stadium, the course travels through Chinatown and parts of downtown before heading up into Hollywood and past the Chinese Theater. Then you head down Sunset Blvd and into West Hollywood before a jaunt along Rodeo Drive, Beverly Hills and a turn toward the ocean. A quick run through the VA Hospital grounds (seemingly the toughest and least attractive part of the course) follows and then heads out onto San Vicente Blvd along residential streets before a final left at Ocean Blvd. The last mile of the course is run along the ocean and ends just a few blocks away from the Santa Monica Pier. It truly is a magnificent course that shows the heart of The City of Angels. Like most big city races, the LA Marathon has plenty of support for its runners. Water stops were frequent and fairly well staffed with ample volunteers, although the water stops did seem to be in shorter supply in the last few miles (often where water is needed the most). Arrowhead provided the water and the energy drink of choice was Gatorade Endurance lemon/lime (thank you, thank you). In addition Cliff provided gels several times along the course and there were plenty of charity groups and awesome spectators who took it upon themselves to offer up drinks, oranges, bananas, pretzels and the like. The fan turnout was fantastic and thanks to the many cheerleaders and support groups who lined the entire course to cheer on the runners. Medical tents were located all along the course and there were certainly plenty of support personnel, which brings me back to my earlier point about Mother Nature being a little too generous with the sunshine. Yesterday’s race featured record-breaking temps that hit well into the upper 80s before the race was done. Almost 1,000 of the racers sought medical support at some point and almost two dozen runners were transported to local hospitals for heat exhaustion. I saw several downed runners during the race and there were always multiple support personnel tending to them, making sure they were okay. Kudos to all of the wonderful medical personnel and volunteers who braved the heat to ensure the safety of the runners. The finish line for the LA Marathon was what you’d expect for a large race. After you received your medal, you were given a Mylar blanket (aluminum side out to reflect the heat as opposed to keeping it in) and access to various snacks and water. An incredible post race treat was the small hand towels soaked in cold water and available to each runner. After surviving a 26.2 mile run in a virtual sauna, being handed an ice-cold towel is an absolute slice of heaven. One little picky note is that racers could really benefit from bags to hold their post-race snacks. I know for a fact that my dexterity was totally off and holding three different bags of snacks and a bottle of water was a virtual impossibility (I used my hat as a makeshift sack). I will say the final walk to exit the “secure area” was really long (or maybe I was just really tired). There were plenty of other amenities available such as “cooling buses” for overheated runners and a beer tent for thirsty runners. And if you didn’t feel like hanging around the course once you have your medal in hand, the 3rd Street Promenade and beach were just a stone’s throw away (but please don’t throw stones, you might hit a runner or spectator). Put simply, when I think of what a high-profile marathon should be, Los Angeles now comes to mind. With its wonderfully scenic “LA” course, fantastic fan support and other amenities, the LA Marathon deserves to be mentioned in the same breath as many of the other established A-list races. This is another race I’m more than a bit biased toward (it was my very first marathon), but it has been a near annual tradition for me since I first ran it back in 2009 and will remain on my “to run” list for every year to come. I too, love LA. 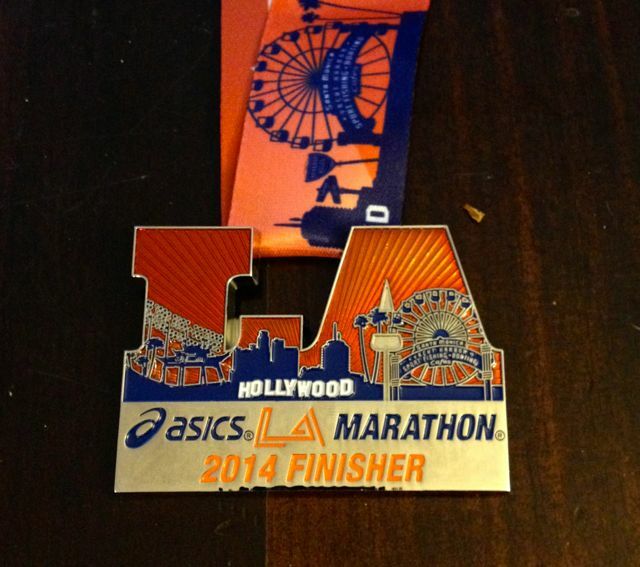 Posted on March 11, 2014, in General, Race Review and tagged Asics, Los Angeles Marathon. Bookmark the permalink. 14 Comments. Congratulations! 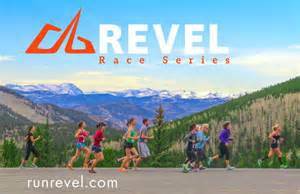 Looks like a fantastic race and thanks for the great recap. I’d love to do this race someday. Scott, thanks for writing all the things I think I’m going to say about races, but never do. Since the 1996 edition, I have completed LA Marathons in 2007, 2010, 2011 and this year. Naturally there are a plethora of the 182 legacy runners who could speak better to various changes over the years, but for my part, I thought some of your readers may like to know how far the race has come since 2007. From being a proxy pariah with a plethora of growing pains, for a “big city marathon”, it is fast becoming the crown jewel and a signature event for our city. When I finally returned in 2010 for the 25th Anniversary, it seemed like new race management was taking steps to regain some prominence. Then we boarded shuttles. Race organizers failed to account for family members/friends dropping off participant at the new Dodger Stadium starting line and shuttle buses with marathoners enroute to the stadium sat for an hour or more on the freeway waiting in cue to enter the stadium. Only the 4 am shuttle marathoners had any semblance of a chance to arrive without stress, and would be lucky if they could run to check their bags in. Even if we got their early enough to do that, we waited outside and milled around because rights to Dodger Stadium access were not then granted. Bring 2011, the perfect storm. That is, although they got the shuttle bug worked out easily after action reports suggested too much crowding at the post race recovery/family reunion and bag check in area, so the bag recovery was moved nearly a half mile South of the finish. Naturally mother nature then dumped 2 and a 1/2 inches on us that year so most of us waded to the (abandoned) gear check where even the volunteers were swamped and missing in action. But something drew me back this year. I Love LA. That was the printed logo on my bib and it rings true. Vendors along the rain drenched route handed out free hot coffee. Hotels opened their doors and lobbies to become warming stations in gail force wind and rain enroute along the half mile stretch to the gear check. An anonymous runner and his wife took mercy on me when they saw me shivering on the street corner and shuttled me the other 1/2 mile back to my car. Remember, the glass if half full! The growing pains have made us stronger. Thanks for the additions Eddie. I missed the monsoon race in 2011. Even with its growing pains, the LA Marathon has really evolved into a great race. Let’s just hope next year it’s not quite so hot. I think I saw you up by the dodger suites–red shirt? But since we haven’t formally met, I wasn’t sure. Plus it was as I opened the door to kitten rescue’s suite (#220) when I turned and (maybe?) saw you. 😉 I, too had a 4am shuttle and arrived with way more time than I cared to have! Glad to hear you had a good time! Maybe I’ll catch you next time. Hi Cindy, thanks for the note…and yes, that was almost certainly me. T2 was in #222 and I was constantly walking by Team Kitten Rescue’s suite. I hope you had a good race and be sure to look me up next time. Seems like we’ll be in a few of the same ones, so I’ll try to say hello!! Excellent. And I’ve run The Great Race before… it’s a pretty cool race (be ready for that hill on mile 4). Good luck! The medals are really nice. A point to point course sounds like a bit of a mess for a race so big. Thanks. Point to point races can be a pain, but LA seems to be getting the hang of it, and it’s the best way to get the full tour of the city.